In the latest DLC "Further Adventures in Finance and Felony" for GTA 5 Online, a new Super Sports car has found its way into the game, the "Fastest Car in GTA 5" may lay claim to the title. The Grotti X80 Proto provides new records in terms of speed and is the perfect choice for the race. 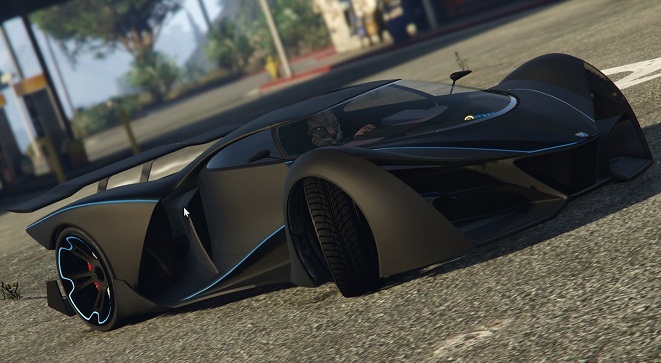 However, the Grotti X80 Proto is not that cheap. The X80 Proto is a two-door concept car that is clearly inspired by the Ferrari F80 in terms of design. You can find it solely and alone purchase through the website of Legendary Motorsport for the price of 2,700,000 GTA dollars. In the standard version you can choose between the colors red, pink, yellow, ocher, green, blue, black and white. In terms of performance the X80 Proto is the new spearhead among supercars. It weighs comparatively little and has a very good traction. The powerful motor makes it statistically fastest car in the game. The top speed is around 1 km / h higher than the Adder. Similarly, the acceleration at a high level. However, the X80 is not the best car and other cars like the T20 and Osiris remain competitive. At the high speed also has to be to get used and adjust the braking and handling in the curves. You can see in the following Youtube Video How the Grotti X80 Proto kicks on the racetrack. Download the image source for Apk of GTA 5 game.